I made this beautiful Garrard 401 for a customer. 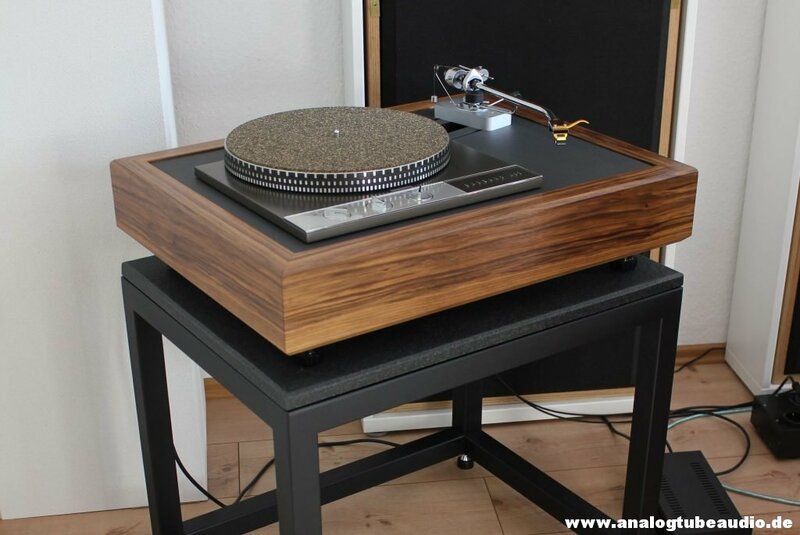 The plinth is made by Vinylista, Berlin (Martin Brenner), the plinth is equipped with a bronze slider. The tonearm is a completely serviced SME 3012-R (internal tonarm wire Pure Silver Hair Wire, bronze knife edge bearing MK3, RCA Conversion Kit M). The cartridge is an Audio Technica AT 150 MLX mounted on an LH-8000 headshell from Ortofon.